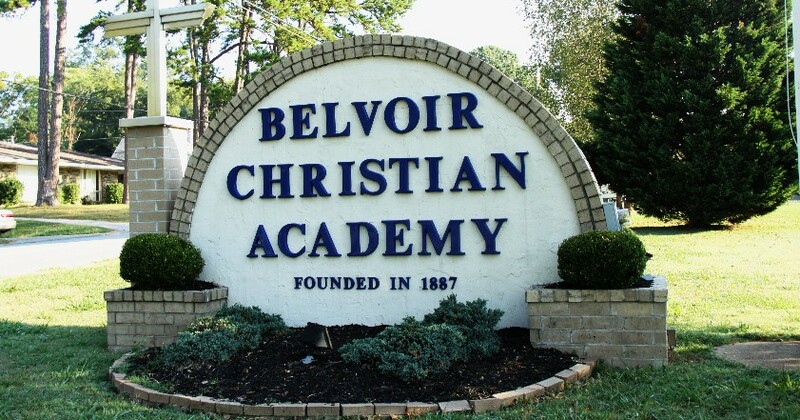 For over 130 years, Belvoir Christian Academy has been committed to providing students a well-rounded academic, physical and spiritual program. With the help of a dedicated faculty, we offer a challenging, age-appropriate curriculum for children ages Pre-K3 through eighth grade. Our curriculum integrates traditional education with technology, while providing a Christian, family-oriented environment. We maintain low student-teacher ratios, with an average of 11 students per class. In addition to our core subjects, we offer Spanish to each grade, including pre-school, as well as Algebra I to our eighth graders who are ready for advanced math. Students also benefit by having access to our two mobile Google Chromebook laptop labs that rotate among the classrooms to allow students to complete research projects and classwork individually. BCA is accredited by the Tennessee Department of Education, National Lutheran Schools Accreditation Association and AdvancEd. Our academic performance has been exemplary year after year, offering our eighth grade graduates the opportunity to attend the private high school of their choice. Read more about curriculum for each grade. We have sought ways to improve the structure of learning for our students and are excited about our approach in how we view learning. Rather than seeking ways to teach our students, we are approaching education from the perspective of what we want our students to be able to do or learn. What do we want our students to learn and be able to do? Teachers spend much time prior to each school year identifying what we want our students to learn. We put a greater emphasis on critical thinking rather than rote memory of facts. We will use the highest of academic methods and standards to help us answer the question "what do we want our students to learn”. We also put great emphasis on English/Language Arts and math, but certainly, we will not neglect science, social studies or religion, but again, a more in-depth focus will be put upon ELA and math. How will we know if they are able to do it? To help us know if our students are learning, there will more timely assessments. Some are comprehensive that can be graded and placed on the grade program. Others are formative assessments (a quick daily check that helps determine student understanding, but do not always show up as a grade). However, the assessments are recorded as data to help us improve instruction and identify students who need extra assistance. What will we do if they do not learn it? When a student is identified as “not learning what they need to learn”, there is a school-wide, systematic process to allow that student extra time and attention to move him or her to the needed level. Some students will receive repeated lessons to accomplish learning goals. Those who have mastered the skills will receive enrichment during this time. What will we do if students come to us already knowing how to do it? If we identify a student who “already knows what is needed”, we employ ways to help him or her receive additional learning to foster progression at an appropriate pace and level. To collaborate on progress and search ways for each child to be successful, all teachers meet regularly in groups. The pre-k3 - 2nd grade teachers make up a group as well as the 3rd-5th and middle school teachers. BCA make disciples for Jesus, encourages lifelong learners, and values students in a nurturing community.